It was nearly half-way through Cannes and my festival was going seemingly well, with screening invitations galore and plenty of sunshine. Today on my hit list: Only God Forgives by Nicolas Winding Refn, and Grigris by Mahamat Saleh-Haroun. Drive exploded on the Croisette two years ago, bringing to a wider attention the work of the Danish director Nicolas Winding Refn. 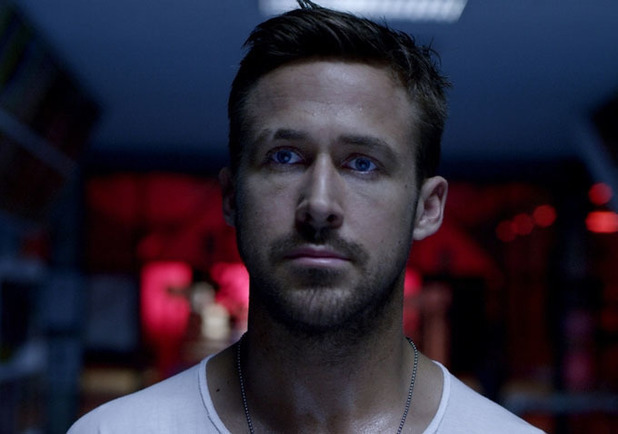 It was cool, it was stylish and Ryan Gosling delivered a memorable and iconic performance. Beyond the critical acclaim, it also generated a sort of fandom that is more usually reserved to comic book adaptations. I had been a big fan of the director's previous film, Valhalla Rising, and while I enjoyed Drive a lot at the time, its impact evaporated fairly quickly after its viewing. Unlike many, while I am all for style over substance, as much as I admired the film, it lacked a certain connection, and it ended up slipping below my top 10 of 2011 when I drew my list. 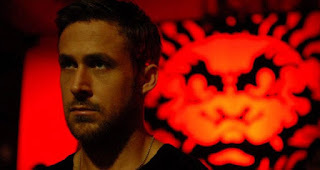 Only God Forgives was actually out in France on the same day of its Cannes release, a very common phenomenon, as often local distributors want to take advantage of the festival's hype machine. The festival means a lot in France, but while it is still the second most covered event in the world after the Olympic games, I could not see that happen in any other countries. In fact, I have found the cover of the festival in the UK to be even more dire than usual. On the basis of a simultaneous release, I had naively assumed that scoring an invitation might be easy, but I was wrong, and it took me a lot of time and effort to succeed. But then again, seeing the film in the Theatre Lumiere as opposed to some small and rubbish local cinema, and most possibly dubbed in French explains why so many were dead set on seeing it there. I had decided against an early rise and the 830am press/industry screening, trying my luck for the afternoon industry one instead, and early echoes of the first screening were not good. In some ways, I found this backlash to be wholly predictable. In search of cheap traffic, many film sites/twitterers love nothing more than bashing those than themselves had praised only a few years ago. 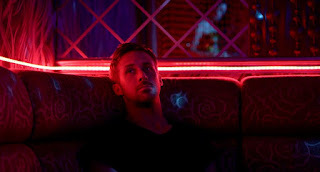 Besides, what I was reading about it being too radical and empty made me think I might actually enjoy it a lot, and I did wonder how many of those Drive fanboys/Only God Forgives haters had actually seen his previous films, as this new film seemed more in line with those. As I was getting a little frustrated and almost worried outside the Palais as time was beginning to run out, I got chatting to this really nice gay old couple, themselves on the hunt for invitations, and we had a good laugh at those non-cinephiles chasing after invitation for the evening galas, all dressed up, simply to mingle with the stars on the red carpet and not caring about what they would be seeing in the slightest. But I finally got lucky, got an invitation and joined the (very long) queue. As we were all waiting, the old couple came back to find me, as they had been given a spare invitation for the Grigris screening later on, and told me I should have it as I was a "true cinephile!". The generosity and kindness of strangers in Cannes will never fail to surprise me! So Only God Forgives... The film turned out to be the major shock of the festival for me, instantly finding its way on a joint top position of my favourite films of the year alongside Upstream Color. Rest assured there is not the single ounce of attention-seeking contrarianism in me, it is a wholly honest opinion. My bugbear with all the negative reactions was that there was no story, which could not be further from the truth, there is a strong narrative, verging on the Greek tragedy, with its themes of family vengeance, redemption, divine justice and an Oedipus like conflict. But it is just not told in the more traditional way, offering instead an involving and extraordinary sensory experience, with its breathtaking cinematography, all in neon lights and vivid colours, (a wonderful depiction of the already very photogenic Bangkok, being in its streets at nights or various karaoke bars), and the unusual soundscape with its intense and hypnotic electronic score, punctuated by naff local pop songs. I am a major fan of big Asian cities at night, which I find to be among the most atmospheric in the world, and the Danish director takes full advantage of the film's location. Ryan Gosling here is more than a naff 80's jacket wearer, he is just as intense as ever, but very vulnerable too, struggling with a terrible internal conflict between family ties and morals, being mentally castrated by his terrifying drug kingpin of a mother, played by Kristin Scott-Thomas. I have to admit I am not fond of the gimmick of having respectable actresses play against type, but here the British actress is in another league completely, she is mesmerising and unrecognisable with her American accent and bleached blonde hair, launching herself into foul-mouthed tirades and terrorising everybody else on screen solely with her presence. Just like with Valhalla Rising, Nicolas Winding Refn uses very little dialogue, opting instead for a more stylised and radical approach to storytelling. I have a feeling that once some have got over their Drive 2 disappointment, this will be properly reassessed. It will be interesting to see how the UK audience reacts to it when it's out in August. And then it was time for Grigris. You know those annoying "Oscar 2014 potentials" articles that cropped up the minute the 2013 ceremony was over? Well some, based on nothing else than hot air and column inches to fill, had this film as one of the serious contenders for the Palme d'Or, for whatever reason, or simply because the director had won the Jury Prize in Cannes a few years ago. But it was not to be, it truly was not. It had a 4pm slot, which is reserved for the smaller films of the selection. It means that it still gets the red carpet treatment, with the cast and crew all glammed up and attending, but with a more relaxed dress code than the evening gala screenings, but which is still exciting to attend, with all the photographers lining up the red carpet as you walk up the steps. And once inside, we got treated to some footage of lead actor Souleymane Démé throwing some serious shapes on the red carpet as he was about to get in. 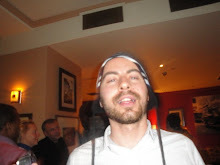 Yet I have to admit I did what so many do in Cannes, shamelessly... I walked out after 30 minutes! There is no excuse, and I was welcoming the opportunity to see a film from Chad and something completely different, but I just could not get into it. Grigris is about a disabled dancer who gets stuck with the wrong crowd in an attempt to help fund his sick adopted father's treatment, and is all very admirable, but the slow pace and lack of emotional involvement meant I had to leave. Later that day, as we met up with both familiar film bloggers from London in an Irish pub, and invited more of our Twitter acquaintances from abroad to join us (I just love the way Cannes truly becomes the capital of cinema! ), the night got messier and messier, and I shall spare you all the details... Let's just say the glamour of Cannes completely eluded us!